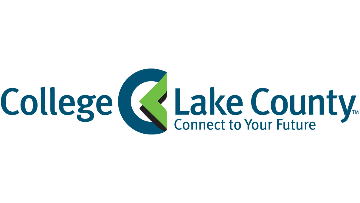 The Vice President of Education and Chief Academic Officer for the College of Lake County (CLC) is the executive leader responsible for academic, workforce, and learning support services within the organization. The Vice President of Education is an equity-minded, visionary leader committed to advancing student access and success outcomes for CLC’s diverse student body. The Vice President of Education demonstrates collaborative, values-driven leadership and is responsible for creating a dynamic work environment characterized by collegiality and inclusiveness for all students, faculty, and staff. The Vice President of Education is a strategic thought leader for the organization, reporting directly to the President, and serving on the College Leadership Team. The Vice President of Education ensures inclusive, equitable, personalized, culturally relevant, high quality learning experiences across three campuses (Grayslake, Lakeshore, and Southlake). The Vice President of Education ensures continuous improvement of student success outcomes through hiring and ongoing development of faculty, leaders and staff. Responsibilities also include developing strategic and collaborative partnerships with educational and workforce partners in Lake County to increase educational attainment and meet workforce needs within diverse communities through intentionally designed pathways, the development, implementation, and evaluation of instructional programming, and the alignment of divisional work with the college’s strategic priorities, vision, and mission.